Showing 40 of 342 results that match your query. Product - Weider Olympic Hammertone Weight Plate, 2.5-50 lbs. Weider Olympic Hammertone Weight Plate, 2.5-50 lbs. 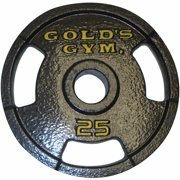 Product - USA Sports Black Olympic Plate - 45 lbs. USA Sports Black Olympic Plate - 45 lbs. Product - USA Sports Gray Olympic Plate - 45 lbs. USA Sports Gray Olympic Plate - 45 lbs.